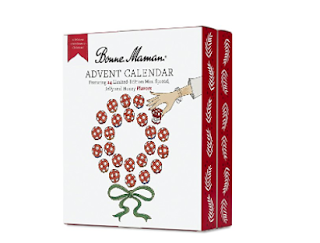 My oldest child chose the Bonne Maman mini-preserves advent calendar. She is 14. How fun will it be to make something with a new preserve flavor each day in December! I am most excited for this one (only because I assume she will share). 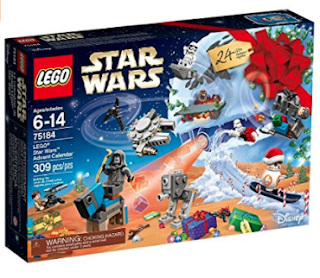 My son once again chose the 2017 Star Wars Lego Advent Calendar. I believe we have purchased this one (there is a new one each year) for the past 3-4 years. We did the Lego City one for a few years before that. He loves making all of the new Lego creations! My youngest chose this Tsum Tsum calendar. 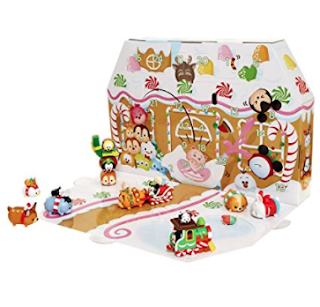 This was a surprise because I don't think we own any Tsum Tsums-- at all, so this will be the most interesting because I am not really sure what to expect from it. Come back on December 1st to see all the goodies that we open!